A great choice of hotels for everyone - families, couples and business and for all budgets from cheap to luxury. The Travellers Guide lists hotels near popular city centres, cultural centres, tourist attractions, holiday resorts, coast and seaside locations. If you are looking for a specific hotel group or hotel chain then the Travellers Guide has a great selection - from Barcelo and Best Western Hotels to Thistle and Youngs Hotels. View our latest "early booking", "last minute", "dinner, bed and breakfast (DBB)", "free night" and "percentage discount" offers and deals at some of the hotels listed below. Florida Hotels - Orlando Hotels, Miami Hotels, St. Petersburg Hotels, Jacksonville Hotels and Tampa Hotels. UK Hotels - England Hotels, Northern Ireland Hotels, Scotland Hotels, Shetland Hotels and Wales Hotels. Channel Islands Hotels - Jersey Hotels, Guernsey Hotels, Alderney Hotels, Sark Hotels plus Isle of Wight Hotels, Isle of Man Hotels and Herm Island Hotels. Centrally located in Key West's Old Town, this intimate Florida inn offers comfortable guestrooms and convenient amenities within 2 blocks of the beach and the shopping and dining on Duval Street. 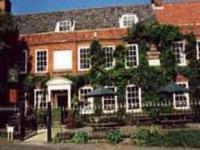 The Old Brewery House Hotel is housed in a converted Georgian building constructed in the late 18th century and situated in the old market town of Reepham, 15 miles from Norwich. The hotel's 23 guestrooms are spread over two floors and have traditional style decor with dark wood furnishings and floral patterned fabrics. Hotelyear built 2002additional property description an aa 3 star new generation novotel opposite the gates of china town, and 3 minutes walk from g mex, micc and bridgewater hall. in the city centre, the hotel is ideal for old trafford manchester utd fc and a short walk from shops, nightlife and attr actions. piccadilly station is 1km and manchester international airport is 10km. Hotel Central Saint Germain is just 300 metres from Cluny Sorbonne Metro Station in Paris's Latin Quarter. It offers 24-hour reception and air-conditioned rooms with free Wi-Fi access and TV with satellite channels. Millbrook House Hotel sits within 10 acres of secluded grounds in one of the most privileged locations in Jersey. Located in St Helier, Millbrook House Hotel is approached by a long tree lined drive where the hotel has stood since 1790. Now restored and extended, the 2 star hotel offers efficient, discreet and friendly service. 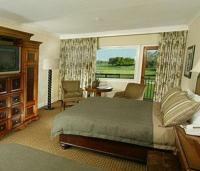 Millbrook House Hotel has a total of 24 en-suite bedrooms, 20 with views of the gardens and sea. Ideally situated at Interstate 95, near Melbourne International Airport, this hotel offers comfortable guestrooms with thoughtful amenities and convenient facilities within walking distance of restaurants, shopping and entertainment in Melbourne,. Just steps from the beach, Memphis Beach Hotel is centrally located in the seaside village of Kolymbia. It features 2 swimming pools with sun bed, umbrellas and a fitness room. Just 300 metres from Sauchiehall Street's shops and restaurants, the City Hotel is a 10-minute walk from the Buchanan Galleries Shopping Centre and Glasgow Queen Street Rail Station. Free Wi-Fi in the 24-hour reception area is available. The Dolphin House Serviced Apartments are located in London, England, and constitute part of the Dolphin Square complex, set around landscaped gardens in a residential area of Westminster. Dolphin House is situated within one mile of Parliament, Victoria Station, and Westminster Millennium Pier, providing riverboat transport to the City and Canary Wharf. Hotel Features. Dolphin House has permanent security, CCTV, and a 24 hour front desk. This Clearwater hotel is situated 5-miles from the Gulf Coast. All rooms include a microwave and refrigerator. The hotel features an outdoor pool and jacuzzi. Clearwater Gulf Way Inn guest rooms are furnished with an alarm clock and coffee maker. This refurbished Georgian building offers luxurious studios just 10 minutes' walk from Hyde Park and 2 Tube Stations. There are fully fitted kitchens, stylish living areas and free Wi-Fi. The newly renovated Crown Inn Hotel, located in a lush, green district, is just 10 minutes from the National Museum and only 15 minutes from the centre of the capital. A bus stop can be found at 100 metres. The modern Erskine Bridge Hotel is set in 18 acres of parkland on the River Clyde, 12 miles from the centre of Glasgow, Scotland. The Burrell Collection and the Glasgow School of Art are both 14 miles from the hotel, and Loch Lomond is 25 miles away. Glasgow International Airport (GLA) is five miles from the hotel. Hotel Features. The Erskine Bridge Hotel's lobby has a television and complimentary newspapers. Britannia Coventry Hill Hotel is a modern purpose-built hotel near Coventry and Birmingham. The hotel is only 9 miles from Birmingham Airport and 7 miles from Coventry Airport, and offers 'Stay & Fly' packages. The Coventry Hill Hotel's 192 en-suite bedrooms are comfortable, and decorated with a soft décor which is perfect for relaxing. Situated in Cardiff Bay, Capital Apartments Ltd are surrounded by waterfront restaurants and bars, as well as the Wales Millennium Centre. Cardiff city centre can be reached in less than 10 minutes by taxi. Free parking is available on site. San Domenico House is a luxurious boutique hotel located only a few minutes' walk from Sloane Square and fashionable Chelsea. Bedrooms have en suite marble bathrooms with baths and showers. With its own stretch of Mediterranean beach, this hotel offers an outdoor pool and panoramic views of Marmaris Mountains. Each room at Malibu Beach Hotel overlooks the sea and there is a disco for entertainment. Experience the renaissance of tortworth court this grade iilisted victorian mansion has been reborn as a stunning newhotel with exceptional charm and character. tortworth court a member of the prestigious four pillars group is a brandnew hotel set in an imposing victorian mansion amid some ofenglands most inspiring scenery. original features have beenpreserved and incorporated into the hotel. Situated on vibrant Green Lanes, Beaconsfield Hotel offers budget rooms, a cosy pub and free Wi-Fi. Just 10 minutes' walk from Finsbury Park, the hotel is half a mile from Manor House Underground Station. The Edinburgh Marriott is a modern hotel situated in the business district of Edinburgh, two miles from the airport and 4.5 miles from the city centre. This four floor hotel features 245 air conditioned guestrooms with dark brown, burgundy and gold decor, all of which include cable TV with pay movies, wired and wireless Internet access, tea and coffee making facilities, minibars and in room safes. With a great hillside location, overlooking the Faliraki beach, Calypso Palace offers easy access to the beach and an outdoor pool. Accommodation at Calypso Palace is air conditioned and includes satellite TV and bathroom with hairdryer. Located only 4 minutes' walk from Earl's Court Tube Station, Knaresborough Serviced Apartments offer self-catered accommodation with free Wi-Fi, in the heart of the Royal Borough of Kensington and Chelsea. The George Washington Golf and Country Club Hotel, Washington, Tyne and Wear is popular with both corporate and leisure guests. This purpose-built hotel boasts an 18-hole championship golf course, 9-hole par 3 golf course and a floodlit driving range.Bedrooms, including a number of suites, are spacious and comfortably equipped. Public areas include extensive conference facilities, a business centre, a choice of restaurants and a lounge bar. Contemporary fitzwilliam hotel designed in a style thatsoften startling and always strikingly original belfastsfirst design hotel. superbly located in the heart of thecity, adjacent to the grand opera house and within walkingdistance of the central business district, main shoppingareas and places of historical interest. also close to allmajor transport links. In the London suburb of Wanstead, Lonsdale Lodge offers rooms with private bathrooms and free parking. Wanstead Underground Station is 15 minutes' walk away, with direct access to central London. Modern two bedroom apartment comprising of one en-suite, one main bathroom, open plan kitchen, living and dining room. A balcony with table to seat 4 overlooking the romantic bay of Balluta. Apartment includes air-conditioning, a fully-equipped kitchen with all appliances including dishwasher & microwave, Wi-Fi, Cable TV, hair-dryer, washing machine, dryer. A passenger lift is available as well as a one car space in garage. This charming 4-star hotel offers spacious and comfortable rooms located in Paris's chic 8th arrondissement, only 500 metres from the Avenue des Champs-Elysées and within walking of the Eiffel Tower. Manolis Apartments is a small, family run, self catering complex located 400 metres from the golden sandy beach, 800 metres from Malia and 100 metres from the bus stop. Wi-Fi is available free of charge in public areas. The Mad Hatter Hotel is located in the historic Lambeth area of London, England, on the south bank of the River Thames. Major attractions within half a mile of the hotel include the London Eye and Shakespeare's Globe Theatre. Waterloo Underground station is 500 metres from the hotel. Hotel Features. Occupying three floors in a 19th century building, the Mad Hatter Hotel is air conditioned and offers wireless Internet access. The Park Inn Leigh is located in Leigh, England, 100 metres from Pennington Flash Country Park, and 12 miles from the grounds of Manchester United Football Club. Hotel Features. This contemporary hotel is located in Leigh Sports Village, a complex housing a 10,000 seater stadium, a sports center with six lane swimming pool, and a fitness suite. The hotel has its own fitness centre including a sauna, steam room, and fitness equipment. The design hotel Abitart is situated in the heart of the Ostiense neighbourhood, close to Ostiense Railway and Metro Station, which provides quick access to all of Rome, including Fiumicino Airport. Just steps away from the beach of Anemomilos and 1.2 km from the centre of Corfu town, Arion Hotel offers air-conditioned rooms with balcony. It has a bar and provides free Wi-Fi in its public areas. Arion rooms are spacious and tastefully. The Hotel Arc De Triomphe is located in Paris 500 metres from the Étoile and Avenue des Champs-Elysées. It has air-conditioned rooms with lift access, satellite TV and free Wi-Fi. 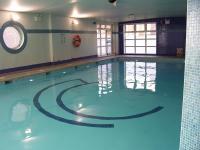 The hotel offers air-conditioned rooms and an outdoor swimming pool. Located 250m. from the beach, the property features picturesque sea views. Local cuisine is served at the snack bar. The Radisson SAS Portman Hotel London stands across the street from Portman Square in London, England. This property occupies an enviable location between the fashionable Marylebone and Mayfair districts. Hotel Features. A modern glass entrance leads to a spacious marble lobby. Portman Corner Restaurant serves buffet style breakfasts and traditional English breakfasts. Lunch and dinner menus highlight modern British fusion cuisine. Inspired by the 19th-century architecture, this elegant hotel is set in tropical gardens on the south coast of Mauritius. It features a 600 m² pool, spa and an 18-hole golf course. Stay Local at the Coach & Horses Hotel, Kew. The Coach and Horses Hotel Kew is a wonderful 17th century inn located on Kew Green, near Richmond offering contemporary bedrooms and a stylish Young's pub at heart. All bedrooms are en-suite, stylish, comfortable and air-conditioned, and there is 24-hour room service, whilst the restaurant produces the finest inspirational and traditional menus. Hotelyear built 2005additional property description a luxury 3 star hotel within minutes of the centre of cardiff and the cosmopolitan waterfront. just 5 minutes taxi ride from cardiff central train and bus station, and 30 minutes drive from cardiff international airport. 100 en suite rooms with power shower and executive work desk, the lodge cafe bar with unlimited tea, coffee and juice available 24 hours a day. In the centre of Belfast's lively Queen's Quarter, this modern hotel offers stylish rooms with flat-screen TVs and free on-site parking. The restaurants of Botanic Avenue are close by. This all-inclusive Jamaican resort overlooks the Caribbean Sea and boasts 3 private beaches and a pool. The adults-only property features massage services and an outdoor billiards table. Offering breathtaking views of the Caribbean Sea, this adults-only all-inclusive resort and spa features endless activities and entertainment, luxurious accommodations and personalised services. 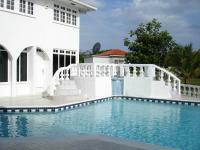 The Paradise L Horizon-Ocho Rios villa features access to a famed, white sand Jamaican beach. The property also features a large living area and fully equipped kitchen. Paradise L Horizon villas feature a washer and dryer. The Esplanade Hotel is a family friendly property in Newquay, England, on Cornwall's Atlantic coast, next to Fistral Beach, one of the best surfing spots in the UK. The hotel overlooks the ocean, 500 metres from Newquay Golf Club, two miles from the Blue Reef Aquarium, and three miles from Newquay Zoo, while the Eden Project environmental complex is 30 miles away. Located beside a working dairy farm, this newly built luxury accommodation is 10 miles (16 km) south of Belfast city centre, off the main Belfast/Dublin Road (A1). 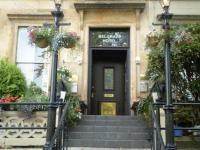 The Belgrave Hotel is a restored Georgian house located in Glasgow's cultured West End. It offers free parking, free Wi-Fi and is just a 5-minute walk from Glasgow's city centre. Just 500 metres from Bethnal Green and Cambridge Heath Rail Stations, The Old Friend Hotel features a 24-hour front desk and free Wi-Fi. The 2012 Olympic site is a 10-minute drive away. Hotel Palace Tivoli is located in the heart of the High Tatras, on the foot of the highest mountain Gerlachovský (2655 metres). The hotel is located just off the main "Road of freedom" connecting Štrbské Pleso - Starý Smkovec - Tatranská Lomnica. A mountain train station just few metres from the hotel gives access to nearby mountain resorts. Modern bedrooms.